Antoinette Nausikaä, 1973 Vlissingen NL, is an Amsterdam based visual artist. She studied visual arts at the Gerrit Rietveld Academy in Amsterdam and in 2009 and 2010 she participated in a two-year Residency program at the Rijksakademie in Amsterdam. She works with the media drawing, photography, video and sculpture. Her presentations are spatial narrative installations and publications. She uses the human figure as her starting point. Observing human presence, particularly our universal behavior and emotions in relation to the immediate environment are central in her work. Antoinette Nausikaa’s work is always site specific and immediate of nature. Antoinette grew up in a family where all members are aerial photographers. As a child she sat in the back of the plane, watching her parents shooting their photographs. She watched as they circled around their objects, approaching them from all perspectives, to take pictures. Her own way of working probably has its roots there in her youth. Antoinette uses a kind of helicopter perspective and circles around her subject, zooming in and zooming out. She does not have a fixed position. Steering through these various layers of the subject provides a variety of perspectives, from observing in the distance to embracing the little things around her. Antoinette Nausikaa is in Yerevan as part of a project she is doing on sacred mountains worldwide. Earlier this year she worked for 2 months on and around Mount Olympus/Greece and now she is traveling around Mount Ararat (Armenia, Iran, Turkey). 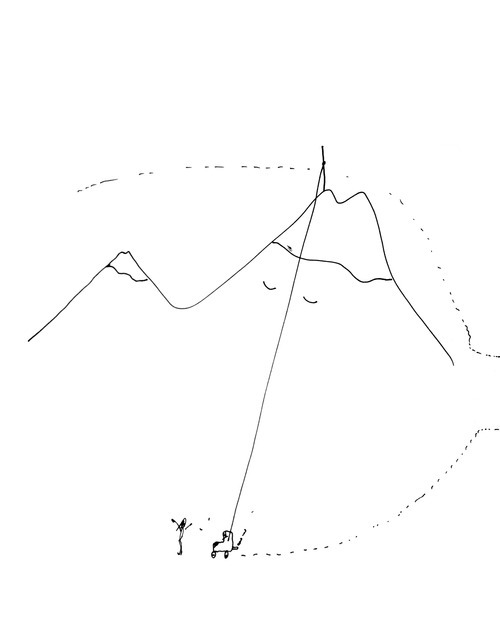 She is mainly interested in the relationship and connection between mountains and the people living around it, and specifically how apparently local and temporal particularities express universal and timeless emotions that define the very core and fabric of human existence.